Sign your kid(s) up to participate in baseball this season? We’ve gathered the latest info on gear + norms to help you prep for a successful season. Keep reading to learn how to prep for Youth Baseball this season! Widely known as America’s favorite past-time, baseball is a sport played between two opposing teams who take turns batting and fielding. The game proceeds when a player on the fielding team, called the pitcher, throws a ball which a player on the batting team tries to hit with a bat. And more, including Baseball do’s and don’ts, specific tricks, tips, advice, and personal experiences from sports moms in our Sideline Hackers Community, and of course, how to keep it all organized! Support Sideline Society by using the links provided here and in our posts to shop. We receive a small commission (at no additional cost to you) that helps us continue to create helpful + free content. Thank you for your support. We appreciate you! Like any other sport, the right gear is going to help your athlete perform at their best. When it comes to baseball cleats, this still holds true. The main factors that should help you decide which cleat is best for your athlete include: ankle support and bottom material. Here’s a great article to help you choose: How to Choose the Best Baseball Cleat. 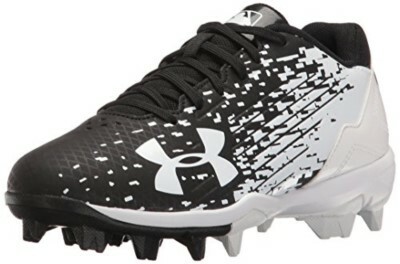 These are the UnderArmour Leadoffs. And they were rated the top youth baseball cleat for the 2019 season by Dugout Debate. Since this sport is considered America’s favorite past-time, you can bet that there are countless reviews, summaries, lists, etc. when it comes to how to choose a baseball bat. Here’s one that I came across and thought was pretty thorough. And another that tested, reviewed, and rated youth baseball bats and found the 9 best bats for the 2019 season! The bats are listed below, but you can read more about the reviews here. I found a really cool and easy to read glove size chart that provides a general guide for determining which glove size an athlete needs. It breaks it all down by age, position, and size. 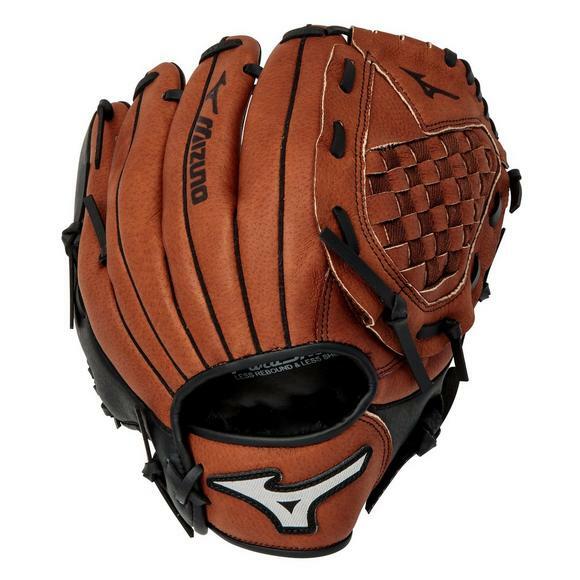 Choose the baseball glove your athlete will need here. Good news here… you don’t need anything fancy or expensive to get your kids prepped for running track this season (besides on their feet of course!) As far as clothes, stay away from cotton in general; cotton is notorious for NOT wicking away sweat and/or elements. Instead it absorbs them and then takes forever to dry! Don’t forget about the socks! Just as important, or maybe even more so! As in just about any other sport, accessories are practically endless, yet not essential. But they can help to make the season more comfortable, competitive, and safe for your athlete. Some of the top accessories preferred by Track + Field athletes include: watch, sun protection, sunglasses, sling bag, towels, duffel bag, and compression arm sleeves. Runners Towel - Not only is it helpful to quickly wipe away all of the sweat; but it also helps with wiping down dirty gear (spikes, field event gear, etc.) instead of using your uniform! Running Watch - One of the main goals for every track + field athlete is to improve upon their time or record at each meet. One of the ways to track this improvement is with a runners watch. Note: Be sure to check with your team’s coach to ensure this accessory would be allowed during competition. Most don’t have a concern during practice, but some may prevent wear during competition. If travel is involved, location information should be presented at the beginning of the season. When it comes to Track + Field there are two seasons (Indoor and Outdoor). Both typically last at least a few months long. Indoor (November - March); Outdoor (February - August). Typically one track meet can last anywhere from a few hours to half a day; this depends on the number of events, and athletes competing.